Do you get dizzy when you bend down to do the laundry, close your eyes in the shower, roll over in bed, do a quick shoulder check, or even just when you’re standing still? If you’ve experienced this type of dizziness or vertigo, you could have a vestibular disorder. Your first course of action should always be to see a doctor and make sure it’s not a sign of something more serious. After being checked by your doctor, you may want to look into vestibular rehabilitation treatment options in order to start moving again before your symptoms start impacting your quality of life. Before you can understand your vestibular disorder and your treatment options, it’s helpful to start with breaking down what the vestibular system is and what it does when it’s functioning properly. The vestibular system includes an apparatus of your inner ear, which helps you keep your balance and sense of where you are in space with all activities of daily life. Located deep inside the temporal bone of your skull, it is made up of semicircular canals, otolith organs and nerves that connect to parts of the brain. The various structures within the vestibular apparatus provide your brain with information about motion, equilibrium and spatial orientation. It also directs the reflexes going to your body, neck and eyes that help you maintain balance and clear vision while you’re moving. Vestibular dysfunction means that something has altered the vestibular system and caused it to stop working properly, which can literally throw you off balance. 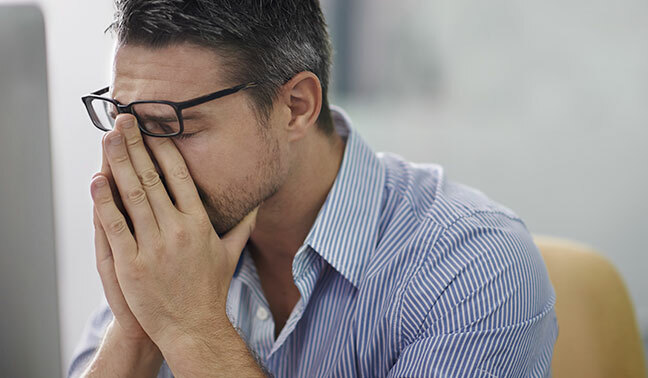 The most common symptoms of vestibular disorders include vertigo, dizziness and loss of balance, but you may also experience blurred vision, motion sensitivity, nausea, vomiting and headaches. Some people use these two terms interchangeably, but they’re actually not the same thing. Vertigo is a sensation that you or your surroundings are moving or spinning when that’s not actually occurring. 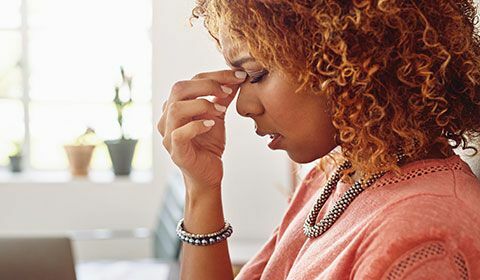 Dizziness can refer to a range of symptoms, including lightheadedness, uneasiness, breathing too quickly (hyperventilating), disorientation, or feeling an exaggerated sense of motion when you move. None of these symptoms include feeling like you’re moving when you’re not, like what happens with vertigo. Being able to accurately describe your symptoms (i.e. vertigo vs. dizziness vs. unsteadiness without any head symptoms) will help your doctor or other healthcare professional to properly assess your condition and recommend solutions. Vestibular rehabilitation (VR), or vestibular rehabilitation therapy (VRT), is a form of therapy used to compensate, habituate or retrain the vestibular system and brain to reduce the symptoms of vestibular disorders, such as vertigo, dizziness, balance issues and gaze instability. Symptoms become less frequent and less intense. Physiotherapists, Chiropractors and/or Occupational Therapists with postgraduate training in vestibular disorders and rehabilitation perform this type of therapy. Although damage to the vestibular system can be permanent, vestibular rehabilitation therapists can help you teach your brain how to use other senses (i.e. vision and body sense) to compensate for deficits. Research actually shows that the brain changes with rehabilitation. 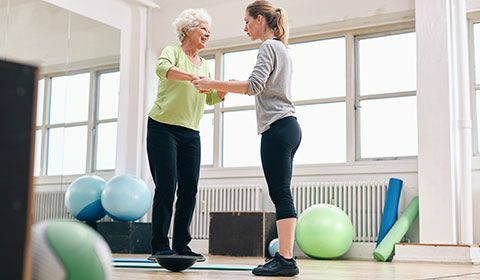 Therapists will assess your vestibular system function and recommend specific treatments and exercises (in-clinic and at-home) as part of a customized rehabilitation plan. Vestibular rehabilitation: This therapy uses various tests and exercises and techniques to reduce dizziness and unsteadiness. Technology such as infrared cameras and blackout goggles for visual suppression may be used. Three types of exercises are often part of vestibular rehabilitation, including habituation, gaze stabilization and balance training. Your therapist may also give you at-home vestibular rehabilitation exercises to do, in order to continue your rehabilitation outside of sessions at the clinic. Canalith repositioning maneuvers: These techniques are used to treat a common inner ear condition called benign paroxysmal positional vertigo or BPPV. The maneuvers move displaced crystals called otoconia from a part of the ear where they can create vertigo, back to where they belong. A commonly known repositioning maneuver is called the Epley maneuver, however your therapist needs to know several additional maneuvers to be able to correct all the possible locations of the displaced crystals. Medication: Your doctor may prescribe medicine to relieve symptoms like nausea or motion sickness, as well as antibiotics or steroids if a bacterial infection or inflammation is causing your vertigo, however medications are typically only appropriate in the early stage. Longer-term use is thought to potentially interfere with recovery. Unilateral (one-sided) vestibular hypofunction, i.e. damage left behind after things like inner ear infection (vestibular neuritis/neuronitis/labyrinthitis), trauma, Meniere’s disease. Central vestibular disorders – conditions affecting the brain structures involved in processing the information from our ears, i.e. vestibular migraine, head trauma, stroke, MS.
Benign paroxysmal positional vertigo (BPPV) is one of the most common causes of vertigo. 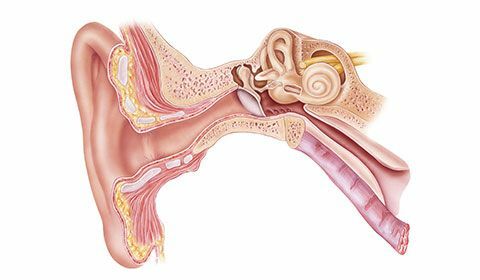 It’s caused by the displacement of otoconia (small crystals of calcium carbonate), which travel from their proper place in the utricle of your inner ear into one or more of the semicircular canals. You experience vertigo when gravity makes the otoconia move in the canals with certain changes of head position. These vestibular conditions are caused by viral or more rarely, bacterial infections of the inner ear or the vestibular nerve going from the ear to the brain. With labyrinthitis, individuals often experience a loss of hearing along with vertigo. 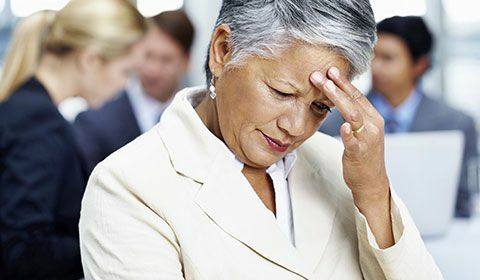 If you experience dizziness or vertigo symptoms, particularly if accompanied by sudden profound hearing loss, immediately visit your doctor or hospital. If the infection is bacterial, antibiotics will be used to treat it (as with colds or flus, you just have to wait until viral infections get better). 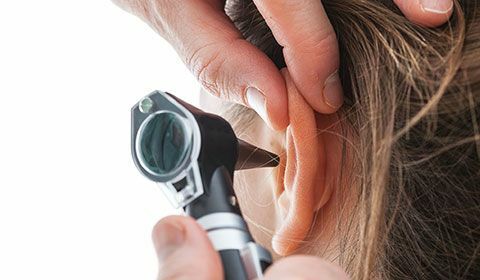 While you may get a full recovery after the infection goes away, some people experience lingering symptoms, which could suggest residual damage to the inner ear or nerve. This is when vestibular rehabilitation is required to help your brain adapt to the changes. Vestibular rehabilitation therapy is performed by specially trained physiotherapists, chiropractors or occupational therapists. Treatment by these types of professionals is often covered by many insurance plans. Be sure to check with your health insurance provider before seeking treatment.